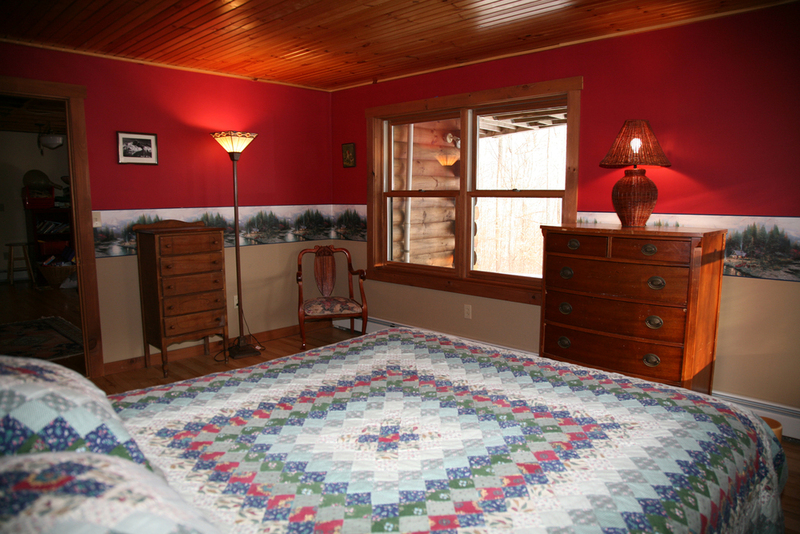 Giant's View Lodge in the Adirondacks is a classic vacation rental cabin for parties of two to twelve. 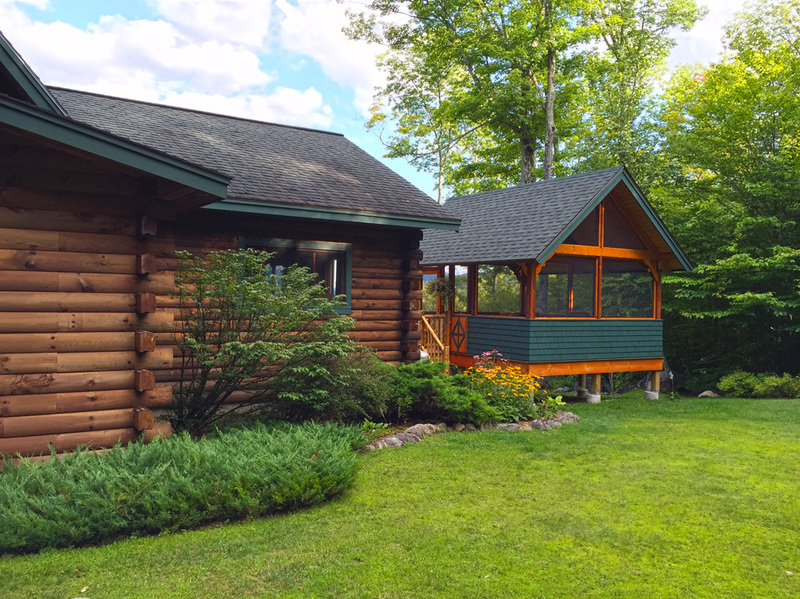 Giant's View is a breathtaking vacation rental cabin located in Keene Valley, mid-way up Porter Mountain in the Adirondacks. 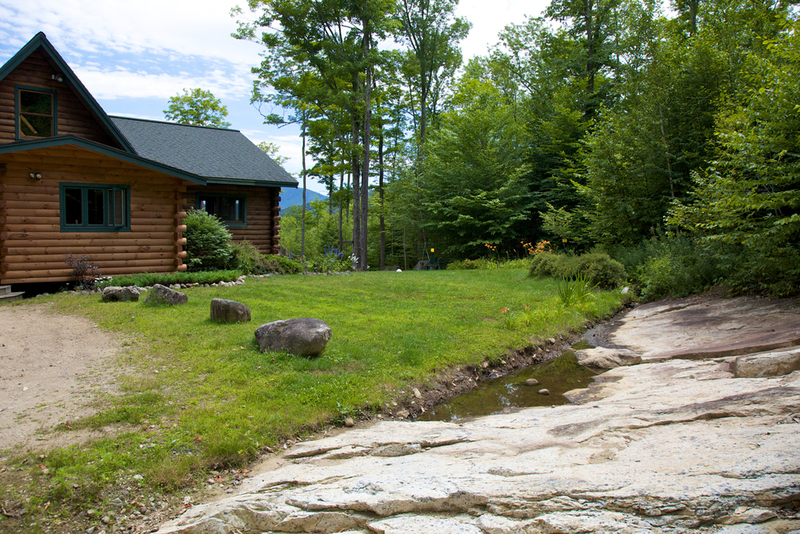 Peacefulness and privacy abound here, amidst a wooded backdrop with incredible views of Giant Mountain and the Southern end of the Great Range of the High Peaks. 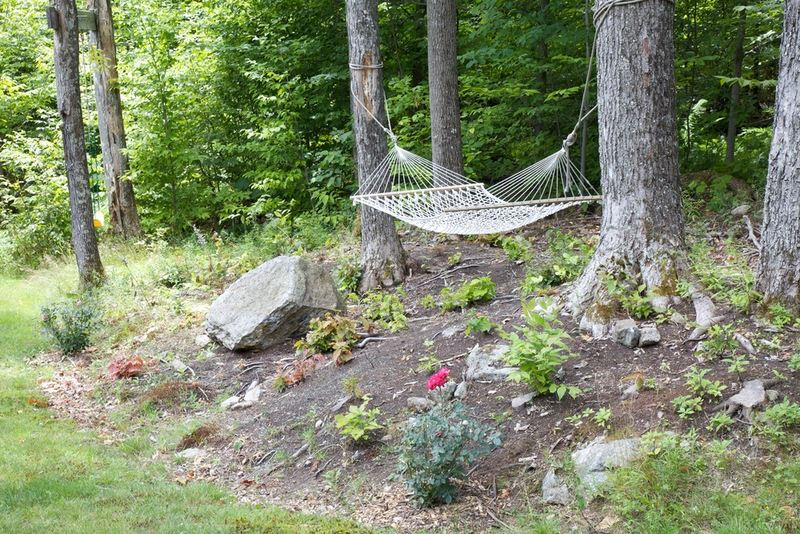 The sunny clearing features a gently sloping yard with lovely perennial gardens and a 50 foot wraparound deck complete with a barbecue grill and Adirondack chairs. 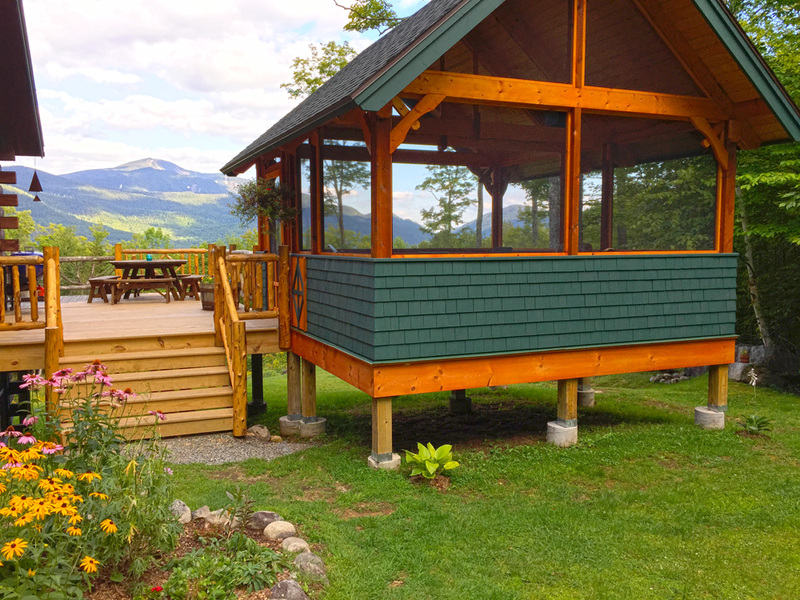 For the shoulder seasons or a rainy day, we've recently added a screened-in porch with a fireplace, so you can always enjoy the mountain air! Out the back door it is only a 45 minute hike or snowshoe to the summit of Little Porter, and only a 2 mile jaunt to "the Garden" (hiking trailhead), from which countless hiking and skiing trails can be accessed. 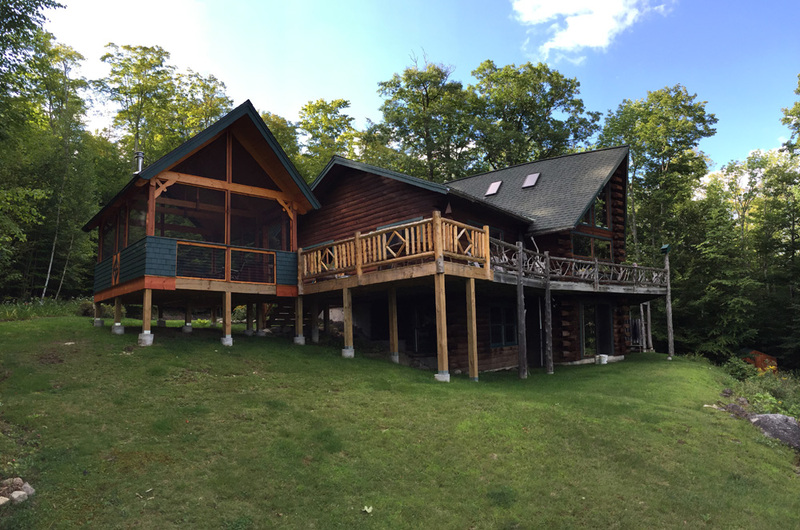 The lodge is a custom-built, 3,000 square-foot, beautifully appointed log home, with hardwood floors throughout, a fieldstone fireplace dominating the Great Room, cathedral ceilings, a fully equipped gourmet kitchen/dining area, complete with granite countertops and a Jenn-Aire grill. Providing lodging for up to 12 adults, sleeping areas include four bedrooms plus a spacious sleeping loft, accompanied by three bathrooms, the master bath featuring a 2-person shower and 2-person deep soaking bathtub. The walkout first-floor functions as a playroom complete with ping-pong table and toys. 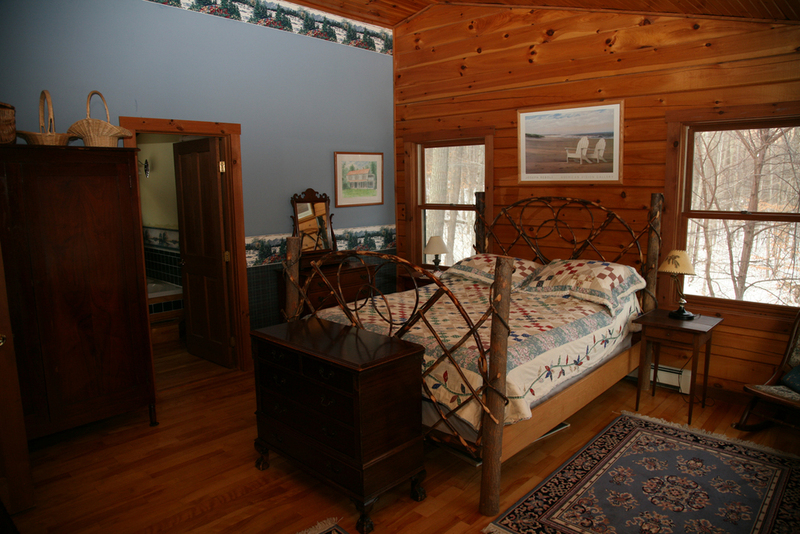 Adirondack furnishings abound, and of course, floor-to-ceiling windows everywhere.